The project Screening speaks to the more than 800 million passengers that pass through TSA security in airports every year. 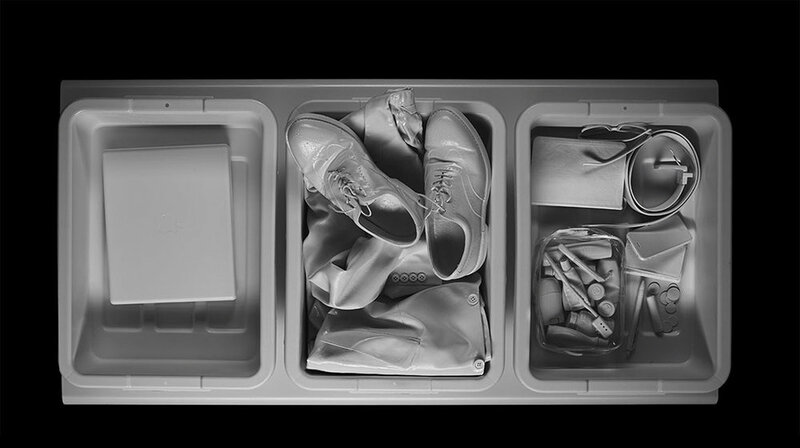 When I travel, I am required by federal law to display all my personal items in screening bins if I want to enter the departure area of the airport. This process is familiar to most, but not all. The piece is an inventory of the objects I am forced to declare. Today, when so many people are fleeing violence and oppression in their own countries, only to be turned away from entering our own ''safe'' country, where are they to go? How do we explain preventing specific ethnic groups, religions, and cultures from submitting their objects in the hopes of entering our country?